Hi there! I am new to this so please forgive errors, etc. (this is my 5th attempt to do this). I went to Gosford Park School from about 1954. It was situated off Humber Road, Stoke. In the Infants School, some of the teachers were: Mrs Ison, Mrs Sherrat (?Sharrat), and in the Junior School, there was Mrs Eastick, Miss Furminger, Mr Griffiths, and Mr Jones. The Headmaster was Mr Williams. Opposite the school was a row of shops, including "The Merry Go Round" gift shop, a greengrocers where you could get a toffee apple for a penny, and a butcher's shop on the corner of Bolingbroke Road. I usually walked to school, but would occasionally get a penny by taking a pop-bottle back to the shop, and use it to catch the number 3 bus from the Stoke Aldermoor terminus, getting off at the Humber factory gate. I would welcome any reminiscences, photos, etc (I have no photographs from this era), including about Stoke Aldermoor. When I was there (The Boxhill), Aldermoor Farm was still there, and my mum would send me up to the farmhouse with a jug to get milk from the farmer's wife. Hoping to hear from you, John J (Potatoface). Hello and welcome to the forum. I attended Gosford Park School from 1949 to about 1954 when I moved to the new Aldermoor Farm School. I first lived in the Moorfield in a prefab, and then in 1953 we moved into a new house in the Barley Lea. The only teacher I can remember from Gosford Park is Mrs. Gordon. Hello DBC. It's great to know there are people who might have reminiscences about the old place. I remember the pre-fabs. I think they were just to the side of the big traffic islands on the way to the Barley Lea, near the GP surgery. The docs were Drs Hugh and Thomas. Dr Thomas did my 3 polio jabs, and I blubbered awfully, especially when the third injection ended with a broken needle left sticking out of my arm! You must remember the spoil heap from Binley Colliery in the distance - we used to think it was a mountain! The number 3 bus terminus used to be there, on the islands. Later, they built the Chequers pub nearby. We used to go scrumping in the allotments near the Rootes Social Club, but we got nabbed by a copper once. Further up, there was a path to Humber Road. Nearby, where the 7 Stars Industrial Estate is now, there was what we thought was a flooded mine-shaft (bottomless of course), where we would catch newts and take them home to mum. Thanks for replying. I not only remember those spoil heaps but occasionally you would hear (or feel) underground explosions from the pit. You were right about those prefabs in The Moorfield. We were in a block of three (with another one across the road) just at the top of the hill. At the bottom of the hill (at the junction of The Farmstead) was a small shop housed in a temporary hut. Across the road from there was the community centre. I remember Dr. Thomas. His house and surgery was right at the beginning of the "new" part of The Barley Lea just past the roundabout. I was at Gosford Park in the '60s. Mrs Davies was the Head of the Infants and she had one of the 'posh' houses on the Binley Road opposite the Dell and in the Junior School Mr Griffiths was still there, possibly even the Headmaster as I remember. There was also a Miss Hawkins who was truly terrifying and Derek Hibberd, probably the finest teacher I ever had. Over the road, between Bolingbroke and Hollis Roads was an old fashioned sweet shop where you could buy one pennyworth (a pen'th) of sweets from the jars. In those days, of course, Sour Apples and Bitter Cherry Drops really were sour and bitter. Bring back real additives is what I say! Did quite a bit of scrumping in the allotments behind the park and also in those through the tunnels under the railway opposite the Humber works. Talking of which, I will always remember the nights out to the Humber Club. 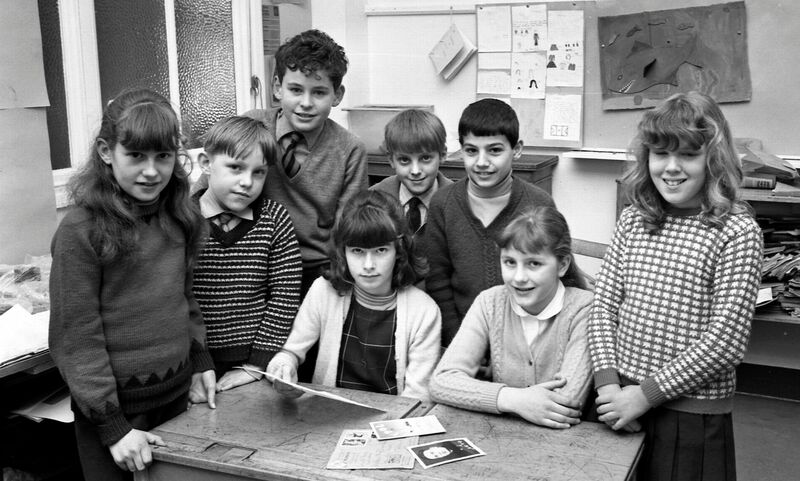 Hello Does anyone remember Gosford Park Junior School on the Humber Road? I am looking to find a school teacher called Mrs Berry who taught me around 1975/6. Hello & welcome, Missytina, Let's hope that someone can give you an answer. I attended Gosford Park School from 1954 to 1957. I lived in Bolingbroke Rd, and used to walk to school every day. I too, have fond memories of the small sweet shop in Hollis Rd that another member of the Forum mentioned. One morning on my way to school I found half-a-crown on the pavement and decided to spend it all in the sweet shop. I bought a huge bag of Bluebird chocolate covered toffees which I took to school with me and shared with my friends. I was a very popular lad that day! I also remember the railway line that ran adjacent to Gosford Park and watching the trains go by from the playground of the school. I used to spend time watching the railwaymen shunting trucks in the shunting yard from beside the footbridge that went over the railway line joining the two halves of Humber Ave. I still have my old class photos and I've posted them here so some of my old classmates might recognize and identify themselves. I would also like to let anyone who is interested know, that there is a Gosford Park School Facebook page with more reminiscences of the old school posted by past pupils of the school. Manxist, I left GPJ in 1958, but I started there late as we had been living up in Barrow. Initially we lived with my grandparents in Bulls Head Lane so I used to walk to school and well remember that little sweet shop in Hollis Rd. Then we moved to Strathmore Avenue about the same distance in the other direction, so I still walked, on my own in later years. kids today eh ? ISTR that Mr. Williams was head master and my last teacher was Mrs Negus. The only schoolfriends I remember were Michael Green, Janet Gray (Grey?) who I had a crush on and Valerie Heinz (sp?). My first day at school was 5 September 1970 at Gosford Park infants. I was in Mrs Jerrum's class. I can vouch for the fact that the sweet shop on Humber Road (between Hollis and Bolingbroke) was still going strong then. We lived in Hollis Road from 1967 to 1976 and the shop situated just where the road bends was run by Mrs Emerson. I remember spending a threepenny piece there in February 1971 and coming home with shiny new 1p and half p pieces, which I instantly wrapped in cotton wool intending to keep them forever. I spent them the next day. Hello folks, Potatoface here. It's been a while, but I've had a couple of heart attacks. I was really pleased to see some responses to my posts. Nice to hear from you all. I had thought that there was going to be no-one left to respond. I think Mrs Ison was one of the people who wrote a response to the recent exhibition in the Herbert Art Gallery to commemorate the Great War, but it might be another Mrs Ison! Does anyone remember "John the Bus" who used to use a converted charabanc to sell groceries around the area? My brother, sisters and I always got a bottle of lemonade and a 3d lucky bag from him when he came round. Glad to see there are still some folk from those days. I also used to collect a jug of milk from the farmer's wife at Aldermoor Farm. What happened to the barber's shop up the iron stairs next to the Aldermoor pub? Anyone play snooker in the Commer Club? Anyone collect half a crown's worth of paraffin from the automatic machine outside the hardware store at the shops? Great to hear from anyone! On 5th Mar 2012 10.10pm, Midland Red said: Possibly the Commer Club ? From the A-Z of Coventry Bands "THE RAPIERS circa 1964 Source Broadgate Gnome Tony Fennell told Broadgate Gnome, "... an unusual line up of two guitars and drums - no bass and no vocals - playing instrumentals - mainly Shadows material. Guitarists names were both Alan - one Alan Payne .. can't remember other's name. Used to play at The Commer Club in Wyken?" Hi. I went to Gosford Park Infants and Juniors from 1957 to 1963. I remember Mrs Davies, I think my Nan knew her. I also remember Mr Griffiths. We used to do writing I think on a Friday when we had 3 blackboards to copy down. lol I think that was with Mrs Negus? I had a good time there but did not like the bottles of milk, too warm in the summer and frozen in the winter. I tried everything to get out of drinking milk. I still can't drink milk on its own. lol I would love it if anyone has any class photos from that time. Some friends I remember were Pam Ayling, Linda Shufflebottom and Mary who lived in Bolingbrooke Road. Kind regards Maggie Rudd. My name at school was Margaret Cox.